Big Deals are hot deal sales that last a short period of time for Kent's Market Kickbacks members. Big Deals will occur multiple times throughout the month in our stores. Kent's Market Kickbacks members will be notified through emails. Big Deal information will also be displayed in sale locations. 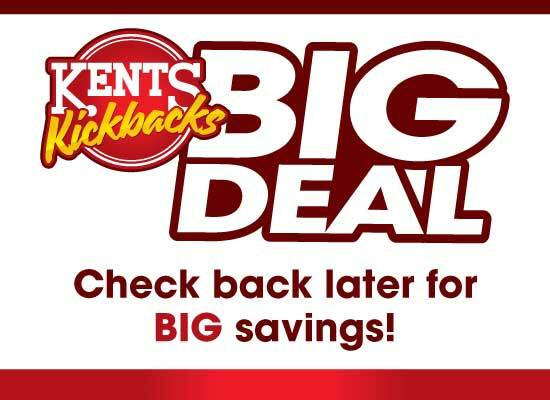 To receive notifications for Big Deals sign up for Kent's Market Kickbacks today at the service desk. If you are already a member of Kickbacks do the following to make sure you receive notifications for Big Deals. Sign in to your Kickbacks account at kentsgrocery.com/kickbacks.